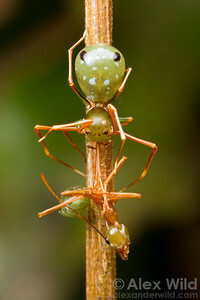 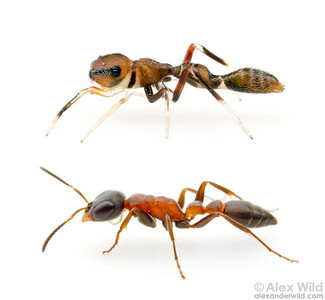 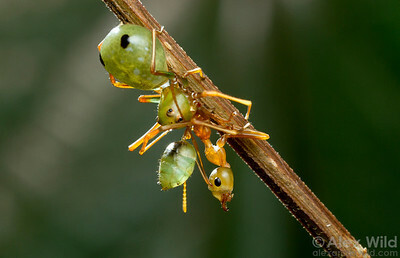 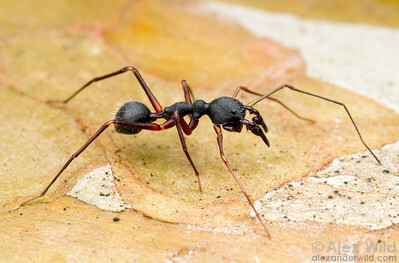 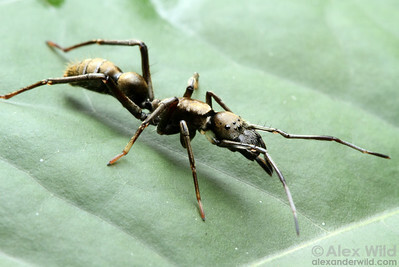 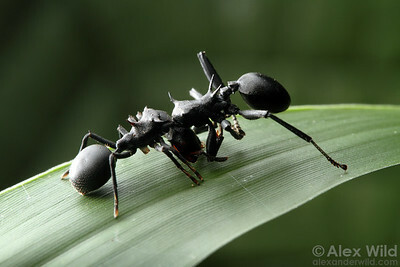 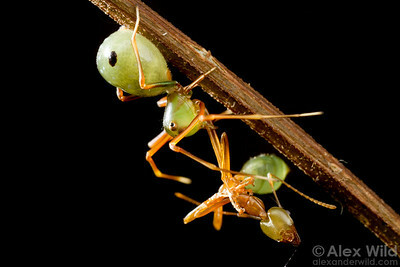 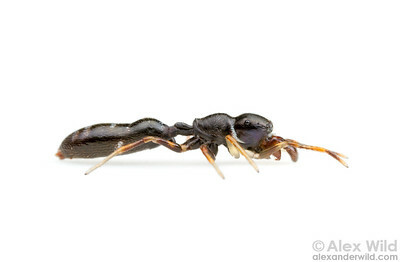 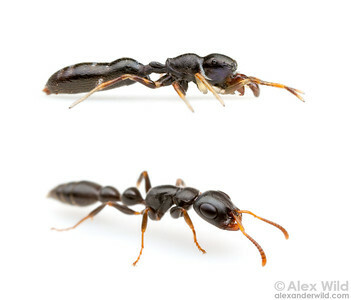 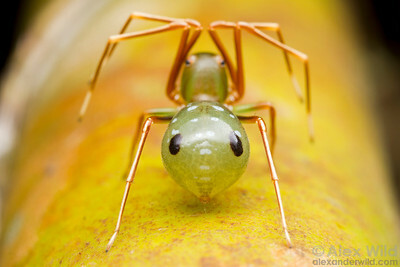 A great many animals mimic the form, color, and movements of ants. 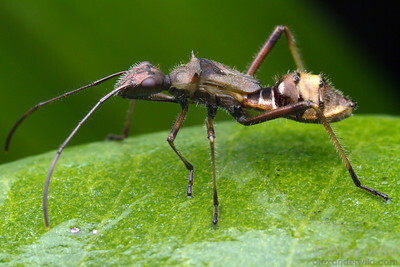 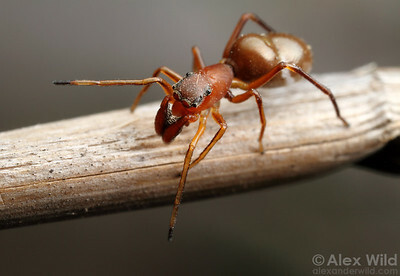 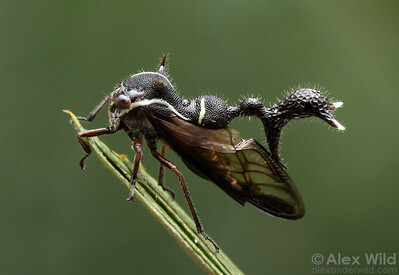 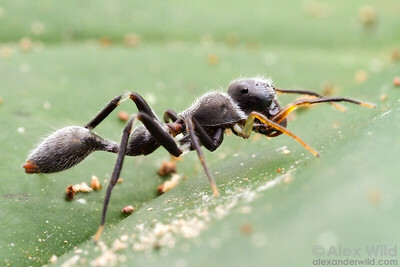 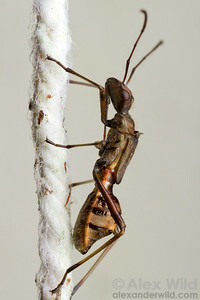 Some gain protection from general predators that don't eat ants, some are specialized ant predators who trick prey ants into coming closer, and others copy ants for reasons that aren't well understood. 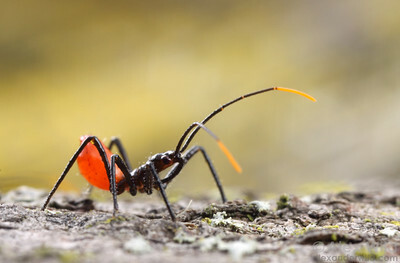 This gallery showcases the diversity of mimics. 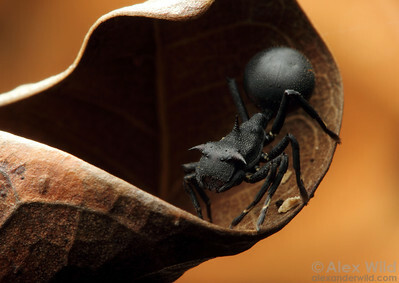 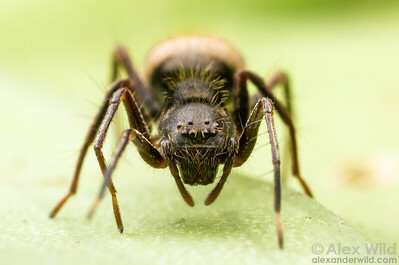 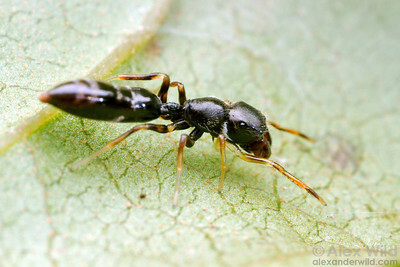 Synemosyna (top) is a jumping spider mimic of Pseudomyrmex. 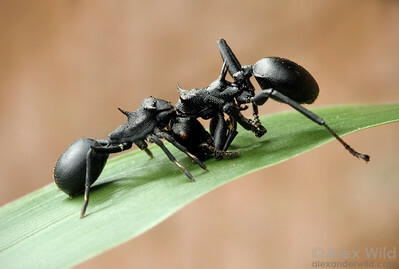 Aphantochilus rogersi (left) is a convincing mimic of its prey, turtle ants in the genus Cephalotes.